For the company that is new to the trade show experience, there are a lot of factors to keep in mind. Trade shows are one of the best ways to showcase your business, network within your industry, and make client connections. In order to ensure you get the most out of our company’s first trade show experience, follow these tips from the experts your AFP Expo division! Be Outgoing! The team that is willing and able to reach out to potential clients and contacts is the team that will truly benefit from the trade show experience. Don’t be shy- even a simple “good morning” to someone passing by your exhibit can be the start of a valuable conversation. Know Who You’re Talking To. Take the time when you first reach out to passersby to introduce yourself and to get their information as well. 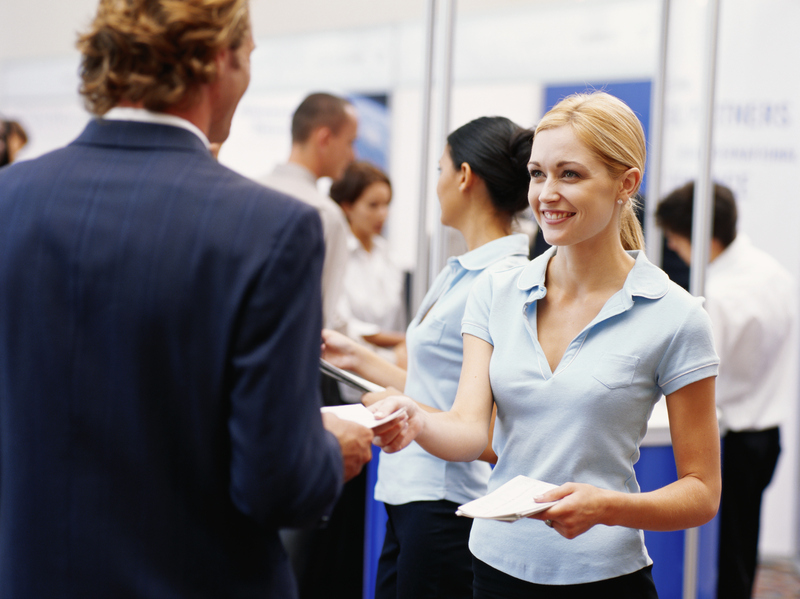 This is not only good trade show etiquette, but it can save you from making an accidental sales pitch to a competitor! Take Notes. Though it may feel like a flashback to your school days, taking notes can help you to maximize your trade show experience. Jot down a few key points from your conversations on the backs of business cards to remember the details that might come up in a follow-up call or email. Get Prepped with a Reliable Expo Logistics Service. By leaving issues like storage, set-up, and shipping to a profession expo logistics company, you are free to focus on what matters most for your company at a trade show: networking! AFP Expo is the trade show division of AFP Global Logistics and has over 20 years of experience helping companies with exhibits nationwide. For a customized logistics handling experience that places your needs above all else, AFP Global Logistics is the best and only choice! We provide a full range of shipping services and our 20-plus years in the business have given us the tools we need to tailor our logistic solutions to each and every individual customer. For more information or to start designing your own logistic solutions today, get in touch with AFP at 410.590.1234 (toll-free 800.274.9452), email us at info@afplus.com, or fill out our quick and easy contact form here! This entry was posted on Thursday, March 12th, 2015	at 10:18 am	and is filed under News, Trade Shows	. You can follow any responses to this entry through the RSS 2.0	feed. You can skip to the end and leave a response. Pinging is currently not allowed.